The year was 1983 and Iron Maiden had just released their fourth studio album, Piece of Mind. More than just another album, it marked the beginning of a new phase for the band. This was Bruce Dickenson’s second album as lead singer. The band brought in new drummer Nicko McBrain from French metal band Trust and, with history to look back upon, it was the true beginning of what Maiden would evolve into today. Where their first three releases focused heavily on horror movie-like themes, Iron Maiden would expand their repertoire both lyrically and compositionally and begin their transformation into one of the greatest metal bands of all time with this album. The very first “Maiden epic” was released here, as were a pair of their biggest music video hits. 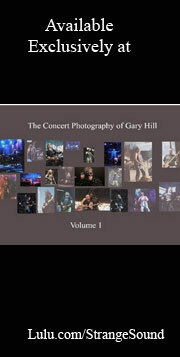 The album contains at least three Maiden classics which enjoy spots in the rotation of the band’s live performances to this day. Drummer Nicko McBrain pounds out the opening to the disc with fury, followed by Dave Murray and Adrian Smith’s twin guitar assault. 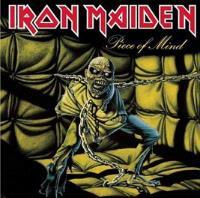 Songs based on popular films and novels are ever present in Maiden’s catalog as are songs themed around war, especially World War II. This number was inspired by the Clint Eastwood and Richard Burton film of the same name, which was based on the popular novel by Alistair MacLean. The song contains some amazing and complex riffing from McBrain, expanding Maiden beyond typical 4/4 arrangements. Indeed Iron Maiden are likely the masters of turning horror and mystical themed topics into song. This classic song is no exception with much of its lyrical content inspired by the writings of Aleister Crowley. The song shifts between slower pace sections and ferocious yet intricate full speed metal assaults. Featuring some of the most inspired playing by the band’s guitar wielding duo, it is also the first Maiden song to be credited to Bruce Dickinson as song writer. Even though “Run to the Hills” was their first big break on MTV, arguably this song should be considered their biggest MTV hit in its video form. An Adrian Smith and Dickinson composition, the cut is undeniably Maiden but is also one of the most melodic and radio friendly numbers the band would ever do. That's especially interesting considering the extreme lack of airplay they would receive in the US. One of the things separates Iron Maiden from many bands is how Steve Harris’ bass guitar is played as a lead instrument and not just a tone for keeping the bottom end together with the drums. Fans of the four string look no further than this number for some of “arry’s” best plucking. One of the band’s best songs about war is also one of the saddest when you listen to the lyrics and know the back story. Based on Alfred, Lord Tennyson’s poem “Charge of the Light Brigade,” the song takes the viewpoint of one of the troops fighting in the Battle of Balaclava during the Crimean War. This staple of their live set features the signature galloping sound from the six and four strings and makes you feel as if you are on horseback with the soldier as they “plunge headlong into certain death.” It's one of the very best examples of what makes Iron Maiden the legends they are. The b-side to the single release (and the bonus track version of this album) featured Maiden’s amazing cover of Jethro Tull’s “Crosseyed Mary,” easily the best cover of a Tull song and Maiden’s best cover song in their long line of b-sides. Much has been said about this song and the message which precedes it. Any Maiden fan knows that the backwards message at the beginning is a drunk-sounding Nicko uttering "What ho said the thing with the three "bonce,” do not meddle with things you don't understand..." and belching afterwards, er uh, before hand since it is backwards. Personally, I have often thought of this as sequel to “The Number of the Beast,” as both songs are based around nightmares and the things which haunt the mind during sleep and how they affect the dreamer upon awakening. Pardon me while I get up on my soap box. This is hand’s down one of the most under rated Iron Maiden songs in their catalog. The twin mid-gallop palm mutes from Smith and Murray are trademark performances, as is Steve Harris’ bass matching Bruce Dickinson’s singing. Yes, it is based on a movie that had lots of cavemen running around and not a lick of English spoken but still, I find this and the next number to be among the most enjoyable of Maiden’s deep cuts. This number is based on the legendary samurai Miyamoto Musashi. Another Dickinson and Smith composition, the song comes in as the shortest number on the album and is not held in high regard by many Maiden fans. I for one find it strong and focused if not a bit short. The solos are sharp in their attack but I wonder if perhaps this number was cut a bit short in lieu of the epic to come. 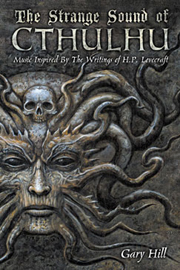 Steve Harris originally wanted to call this song “Dune” after the novel on which it is based, but the book’s author Frank Herbert wouldn’t allow it. The much more clever sounding “To Tame a Land” starts off with futuristic middle eastern flavored guitar riffing appropriate for a story based in the year 10,191 on a desert planet. This song marks the beginning of what I like to call the “Iron Maiden epics,” the songs of extraordinary length, progressive arrangements and lyrics which make Maiden the master’s of metallic story telling. The song shifts from slower passages to heavier ones with ease, all based in part around the opening refrain. The intricate drumming of McBrain propels this song in a way few drummers could easily pull off. Steve Harris’ bass is as prominent an instrument as any and the twin guitars of Dave Murray and Adrian Smith take over as vocalists in their own right when Bruce Dickinson isn’t singing. Running at 7:27, this was the longest song Iron Maiden had recorded to date, but a record that would be broken with the release of their next record.